Winner Announced - Win Life-Changing Book "Open" in Signed Book #Giveaway! Giveaway is Closed and Winner Announced! CONGRATULATIONS to the 'Open' Signed Book Giveaway! This will be a very awesome book for our winner to read and share with her family and friends. The winner has been verified before its posting on the Rafflecopter Entry Form Below! Selena Thinking Out Loud With Purpose would like for you to Get Inspired! We have the internet, social media, and always a good book, available to us, to help with anything we may be going through in our lives. It's also a gift when we can help each other through our own experiences during the good times and hard times. Personally, I find it very rewarding to learn from other people, which continues to make me a better woman. We all have access to wisdom and the ability to use this wisdom to empower others. That's why I'm so excited to share with you this life-changing book, "Open" by Craig Gross and Signed Book Giveaway! This giveaway runs through August 5, 2013, 12:00AM/EST. Must be at least 18+ to enter. Open to US. Welcome to the "Open" Signed Book Giveaway and Book App! Get inspired and energized with this new, life-changing book, Open, by Craig Gross, available now wherever books and eBooks are sold. Doesn’t it feel great when you find a book that really inspires you? Something that really gets you motivated to live and love better? Author and speaker, Craig Gross, is helping men and women all over the country do just that. In his new book, Open, Craig is letting you discover a life of freedom, confidence and success by being honest and transparent with people you truly hold dear. How would getting more "open" benefit YOU in your life and relationships? Explore the Get "OPEN" Blog App! How Open Are You? QUIZ - How willing are you to share your true personality with others? Do you trust other enough to let them see the real you? Take the quiz to find out how Open you really are! Tweet with the #getopen hashtag to share the good news about Open, available now wherever books and eBooks are sold. One (1) Winner gets a Signed copy of "Open" from the Author! Craig Gross is an author, speaker, pastor, and revolutionary. He shot to prominence in 2002 when he founded the website XXXchurch.com. Craig is the author of nine books. He currently resides in Los Angeles, CA, with his wife, Jeanette, and their two children, Nolan and Elise. "I don't say this often, but this book is a must read." "Open is one of the most relative and practical books on accountability I've ever read. Craig takes many routes, through stories from pop culture and his personal journey to help lead you to a life thats Open." Please enter this giveaway using the Rafflecopter Entry Form Below. Important: All tasks entries are optional, but the ones that you do, please complete them FIRST, then click the ENTER button. All entries will be verified when selecting the winner. Good Luck! Disclosure: The prize will be sent via FedEx or USPS. No P.O. Boxes please. Selena Thinking Out Loud With Purpose will select the winner and deliver all shipping information to Thomas Nelson. Please note that the assets included within this message were delivered to this blog in promotion of Thomas Nelson. Any actions (including contest and competitions) that you complete with the provided assets are your liability, and should comply with both local and international laws. This blog is working with Thomas Nelson and Thomas Nelson supplied these materials for the following promotional event. It's a beautiful Summer Day in Los Angeles, Ca, so why not introduce a cash giveaway for the Selena Thinking Out Loud With Purpose readers! With special thanks to the coordinator of Giveaway Promote, we are especially happy to bring you this $500 Summer Breeze Cash Giveaway. Whenever I find a great opportunity for you to win CASH, I jump on it and this one will be just as special for you as the others. It's very simple to enter. Make sure to complete as many tasks as you would like on the Rafflecopter Entry Form provided below BEFORE pressing each ENTER button for the tasks. All entries will be verified, when choosing the winner. Below you will find all of the details of this Summer Fun event, in the end, I hope that one of you will be $500 richer before summers end to have some fun with your winnings. Enjoy! 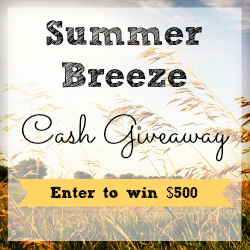 Welcome to the $500 Summer Breeze Cash Giveaway! We've joined forces with a great group of bloggers to bring you this fabulous giveaway. One (1) lucky person will win $500 cash. 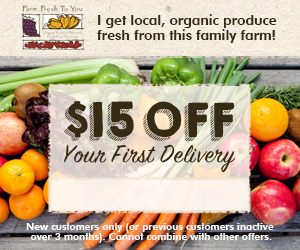 Ends at 11:59pm EST on August 4th, 2013. Disclosure: Selena Thinking Out Loud With Purpose is not responsible for the delivery of this prize. This giveaway was coordinated by Giveaway Promote. If you're a blogger and would like to participate in a future giveaway event like this one, sign up for Giveaway Promote's weekly giveaway events newsletter. For this fourth week in July, Selena Thinking Out Loud With Purpose, is bringing it's readers another $25 Visa Gift Card Giveaway, hosted by NYSavingSpecials. If you've entered the previous three $25 Giveaways, make sure to stop by those posts, in my archives section on the right sidebar, again to see if you are the winner on their Rafflecopter Entry forms. This giveaway will run through this Friday, July 26, 2013, 11:59PM/EST for ONE WEEK ONLY! Please enter on the rafflecopter entry form provided below. **Make sure to complete the task BEFORE clicking the ENTER buttons. All entries will be verified. All entries are optional so do as many as you would like for a chance to win. Disclosure: Selena Thinking Out Loud With Purpose is not responsible for prize. If you have any questions please send an email to nysavingspecials@gmail.com. All entries are optional, if you do any of the tasks you can collect the entries, but if the winner task is a task you did not complete, a second winner will be chosen. NYSavingSpecials is responsible for prize. Giveaway Has Ended and Winners Announced! Selena Thinking Out Loud With Purpose is helping you have your very own beauty fest by bringing you this Beauty Essentials Giveaway! There's just so many amazing products on the market for us ladies to try and use to hopefully add to our daily regimens. So, to get this party started, I would like to introduce the host of this lovely giveaway at Spectacular SHE. Read all about her and the beautiful ladies who have also teamed up to bring you this beauty event. 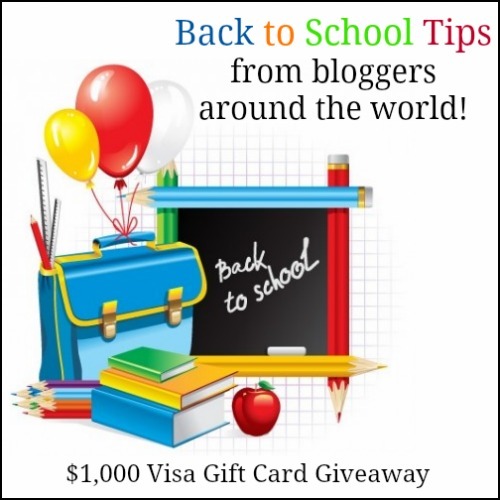 This giveaway will run from 7/19 through August 2, 2013, 11:59PM/EST. Open to the United States and Canada. Must be at least 18 years old and older to enter. Disclosure: This blog complies with FTC advertising guidelines. Participating bloggers, including Selena Thinking Out Loud With Purpose, other than Spectacular She are not responsible for fulfillment of prizes. Spectacular She is wanting to spoil two lucky fans with prizes totaling about $400! Thanks to the Host and all of the Co-hosts who helped! Click on their beautiful faces to check out their blogs and see what other goodies you might find. Please enter on the Rafflecopter below. All entries will be verified and anyone with false entries will be disqualified, so PLEASE make sure to do the tasks FIRST, BEFORE clicking the ENTER buttons. Good Luck, Again! You can't go wrong when you're jamming to your favorites songs and dancing to the music of yesterday and today. Along with the barbecues, beach parties, and social dinners, you have to be prepared to give your guests a little piece of soul, R&B, Hip Hop, Old School, and Jazz, to make their time even more memorable and this giveaway is definitely hot enough to set it off. Selena Thinking Out Loud With Purpose is happy to bring the readers this great event. 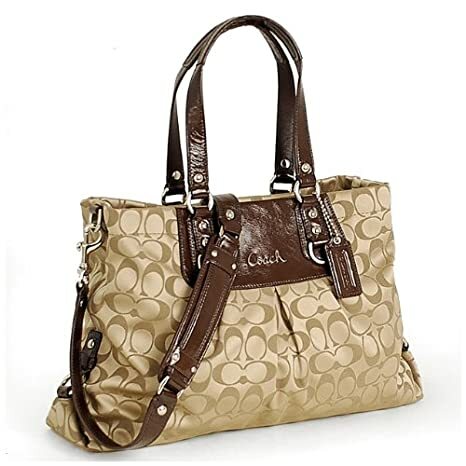 The giveaway will run through July 28, 2013. Open Wordwide. Must be at least 18 years old to enter. Enter on the Rafflecopter entry form provided below. Please complete the tasks BEFORE clicking on the ENTER buttons to submit your entries. All entries will be verified. Good Luck! Welcome to the Summertime Sounds Bose SoundDock and iPod Nano Giveaway! 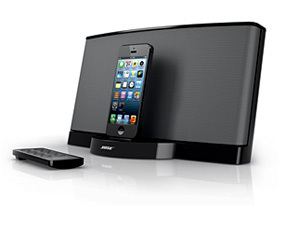 One (1) lucky person will win a Bose SoundDock Series III digital music system and a 16GB iPod Nano in the color of your choice. 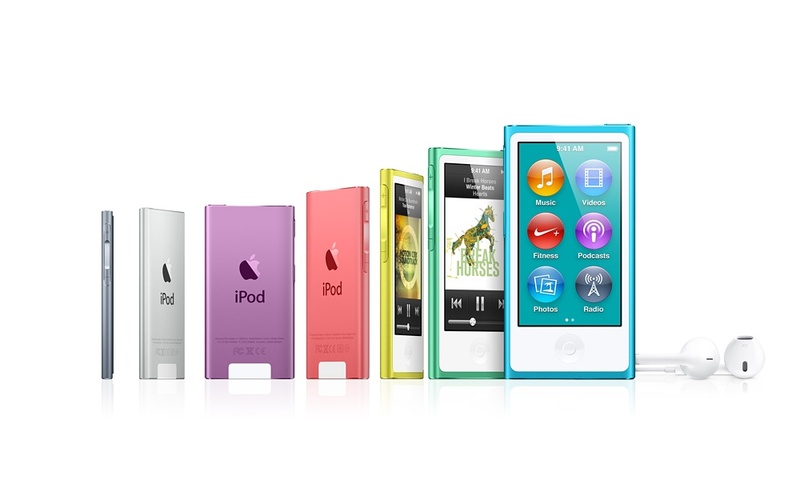 The new iPod nano has a 2.5-inch Multi-Touch display that’s great for browsing album art, photos, videos, and more. Enter to win a Bose SoundDock and iPod Nano. Ends at 11:59pm EST on July 28th, 2013. Disclosure: Selena Thinking Out Loud With Purpose is not responsible for the delivery of prize. The host will contact the winner for delivery information. Bloggers, if you'd like to participate in a giveaway event like this one, sign up for Giveaway Promote's weekly giveaway events newsletter. For this third week in July, Selena Thinking Out Loud With Purpose, is bringing it's readers another $25 Visa Gift Card Giveaway. If you entered the previous two $25 Giveaways, make sure to stop by those posts again to see if you are the winner on their Rafflecopter Entry forms. This giveaway will run through this Friday, July 19, 2013, for ONE WEEK ONLY! Please enter on the rafflecopter entry form provided below. **Make sure to complete the task BEFORE clicking the ENTER buttons. All entries will be verified. Disclosure: Selena Thinking Out Loud With Purpose is not responsible for prize. If you have any questions please send an email to nysavingspecials@gmail.com. All entries are optional, if you do any of the tasks you can collect the entries, but if the winner task is a task you did not complete, a second winner will be chosen. Selena Thinking Out Loud With Purpose is super excited to bring the readers this Back to School Blast along with some amazing bloggers! The school bells will be ringing again before we know it, so why not start getting prepared now! 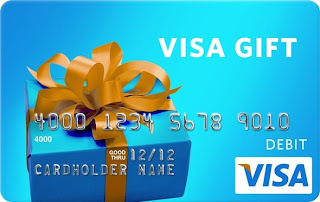 Below I have provided some cool tips to help you on your way, but this $1000 Visa Gift Card will help even more if you're the big winner. Every year it seems like the school supplies and equipment, needed, gets more expensive so this should help a lot. To enter, just use the Rafflecopter entry form provided below. Please make sure to complete a task BEFORE pressing the Enter buttons. All entries besides the required ones are optional, but the more you do, the more chances you will have. This giveaway ends August 15th at 11:59pm. Open Worldwide to ages 18 years old and UP. **If the winner resides outside of the US, they will receive Paypal cash. organized by Mom Powered Media. 2. Start Saving Early - As your child moves through their grade levels, it can be increasingly expensive to have the money on-hand to buy last minute sporting gear, for field trip expenses, and additional classroom necessities from particular teachers. Creating a budget for yourself early, during the summer, can ease the worry when having to make last minute purchases along with the usual supplies requested. 3. Buy in Bulk - During the school year, your child will need many pencils, pens, notebook paper, and other supplies that they use often. Why not shop at stores like COSCO and Sam's Club to buy those supplies that your child will run out of pretty much weekly or monthly. Save yourself the trip to the store and the last minute surprises. 4. Thrift Shops - I know, many children these days want the name brand clothing and shoes, but from many stars and even fabulous models, we know that consignment shops are IN. They have styles that not everyone will have, the clothes are at affordable prices, you can mix and match colors and fabrics to create really edgy styles for your child. Some clothing and shoes in thrift shops still have the tags on them. 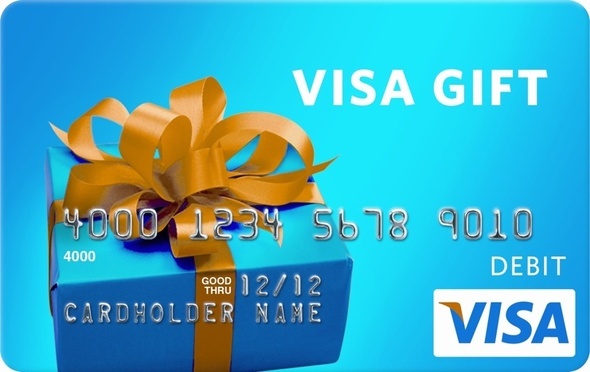 One (1) lucky winner will receive a $1,000 Visa Gift Card! Disclosure: Selena Thinking Out Loud With Purpose is not responsible for sponsor prize shipment. Please contact teri@mompoweredmedia.com with questions or to see your business or blog featured on the next big event! 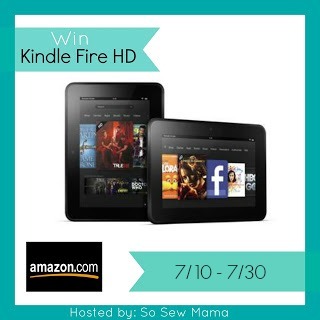 It's come time again to bring you another Kindle Fire HD Giveaway and to celebrate Desiree from So Sew Mama's upcoming wedding in August! I love seeing happy couples starting their lives together after that final kiss on their wedding day. It's so sweet and special. So, why not celebrate with us as we bring in the celebrations! One (1) lucky reader will have the great opportunity to win a Kindle Fire HD! This giveaway is open world wide, but you must be over 18 to enter and win. Void where prohibited by law. Winner will have 48 hours to respond to my email, or a new winner is chosen. This giveaway will close at 11:59 pm EST on July 30, 2013. Use the Giveaway form below to enter. Make sure to complete your entries BEFORE clicking the Enter buttons. Entries that are not mandatory, will increase your odds of winning. Good Luck to You! Selena Thinking Out Loud With Purpose was not compensated for this post, and is not responsible for prize fulfillment. This giveaway is not affiliated with Facebook, Pinterest, Twitter, or any other social media website. Please contact Desiree at So Sew Mama with questions, or to have your company/product featured in our next big giveaway! Read my Full PR disclosure here. It's always fun to come together with other bloggers to celebrate each other's successes. 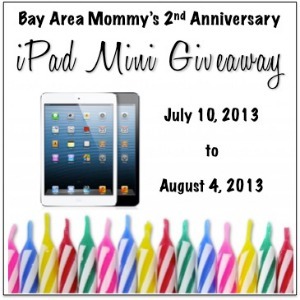 This time, we're all celebrating Bay Area Mommy's 2nd Anniversary! YAY! During this festive time, my readers have the opportunity to win their very own iPad Mini! All of the details for this very special event is below. This giveaway runs from July 10, 2013 at 12:01am EST through August 4, 2013 at 11:59pm EST. It is Open Worldwide, so everyone can participate! However, you must be at least 18 years old and older to enter. No purchase necessary. One (1) lucky reader will win an iPad Mini (winner’s choice of color)! To enter, use the GiveawayTools widget below. Please see full terms in the widget below. Selena Thinking Out Loud With Purpose is happy to announce another $25 Visa Gift Card Giveaway for this second week in July! This giveaway will run this week ONLY! The dates, how to enter, and the wonderful hosts and cohosts are mentioned below as well. Visit their blogs and get to know about all the interesting things they write about. Some of them have giveaways as well! It is also very important that you complete a task on the Rafflecopter Entry Form first BEFORE clicking Enter to submit your entry. All entries will be verified by the host of this event. Good Luck! All entries are optional, but you must complete the tasks on the Rafflecopter form below to have your entries counted. Disclosure: Selena Thinking Out Loud With Purpose is not responsible for the delivery of this prize, but only a promoter. NYSavingSpecials is responsible for prize. If you have any questions, please send an email to nysavingspecials@gmail.com. No Purchase Necessary. Selena Thinking Out Loud With Purpose wants to keep it's readers up with technology with music and video. So, why not enjoy all of this on your very own Apple IPod Nano 16GB Slate! This event is great for the summer and I'm crossing my fingers for my readers and hope that one of you are my lucky winner! The giveaway will run through July 29, 2013. You must be 18 years old and older to enter. Open to US only. The host has provided a Rafflecopter Entry form for you to submit your entries. Please complete the tasks on the Rafflecopter BEFORE clicking Enter to submit your entry. All entries will be verified. Good Luck! Welcome to the Apple IPod Nano 16GB Slate #Giveaway! Please use the Rafflecopter Entry Form provided below. Complete the tasks BEFORE clicking Enter. Disclosure: Selena Thinking Out Loud With Purpose is not responsible for prize. If you have any question please send an email to nysavingspecials@gmail.com. All entries are optional, if you do any of the tasks you can collect the entries, but if the winner task is a task you did not complete, a second winner will be chosen. No Purchase is necessary. No compensation was received for the promotion of this giveaway. Selena Thinking Out Loud With Purpose is very excited to bring you this $200 PayPal Cash or Amazon Gift Code Summer Cash Bash Giveaway! It's always a pleasure to work with other bloggers and especially helping Kara's Deals & Steals by promoting this very special event. This summer, why not buy yourself something special like a new grill, take a short family trip to an amusement park like Six Flags or whatever will put a smile on your face if you're the big winner of this $200! You can do whatever you want with it! How about that?! The host has provided you with a Rafflecopter Entry Form below to enter and you must complete the tasks on the Rafflecopter BEFORE you click Enter for that task. All entries are verified before a winner is established. This giveaway will run July 8, 2013 through August 5, 2013, 12:00AM/EST. Open Worldwide. Must be 18 years and older to enter. who make such an awesome prize possible. You can see the list of all bloggers who sponsored this event here. One (1) lucky winner will get the choice of $200 Paypal cash or $200 in Amazon gift codes. Please enter on the Rafflecopter below. All entries will be verified and anyone with false entries will be disqualified. Good Luck to You! Disclosure: Selena Thinking Out Loud With Purpose complies with FTC advertising guidelines. This blog is not responsible for prize fulfillment. No compensation was given for the promotion of this giveaway. GET YOUR BIG FISH GAMES HERE! Disclosure: Selena Thinking Out Loud With Purpose is a user of Big Fish Games and an affiliate. Compensation may be received from your purchase. #Blogger Opp Signups: Beauty Essentials Event - Begins: July 19th!